The Internet has fundamentally changed how we organize—but technology and the Internet are not neutral. Corporations and private interests exploit the openness of the internet to maximize profit without repercussions. Meanwhile, right-wing populism and authoritarianism utilize technology and the Internet to disrupt democracy and harm marginalized communities. As organizers, we cannot cede the way the Internet can be used to redistribute resources and power. Yet the online tools and organizing practices we use today are insufficient to build the kind of democratic movements we need. Problems like algorithmic bias, surveillance, and online harassment plague our online tools and organizing practices because many of these tools were not built by people of color or with people of color in mind. 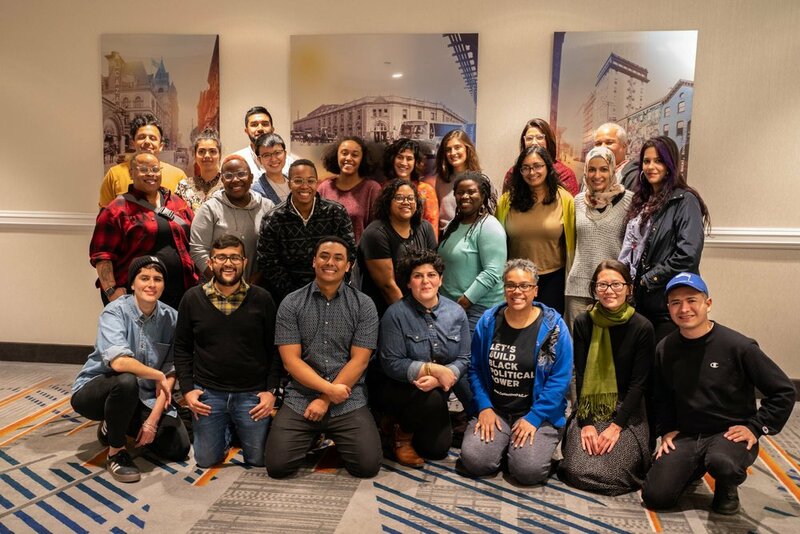 Kairos ensures that organizers, movement builders, and people of color are designing technology, innovating our organizing models, and leading the digital field as we transform the political landscape to build democratic movements that will liberate us all for decades to come. We honor the work of those who have come before us, those who have paved the way, those who have broken down walls and fought courageously in the face of hate and violence, and those who are our contemporaries in the fight for racial and gender justice.